Call of Duty has been the most successful video game franchise for over a decade, and now Activision is set to introduce a new title to the series; Call of Duty: Mobile. Though Call of Duty: Mobile does not yet have an official release date, but according to the official Call of Duty: Mobile website, it will be free-to-play and popular maps Crash and Nuketown will also be part of the mobile game. The game appears to be its own standalone feature in the CoD series, not part of the pre-existing Modern Warfare or Black Ops series’ or following on from either of Sledgehammer Games’ efforts. Instead, it seems to include features from every game, similar to China’s CoD Online, the type of game long-time fans have been crying out for for years. Call of Duty won’t be the first series to bring out its own mobile game – Fortnite and PUBG have already been adapted for mobile users, but neither created a whole new game specifically for the platform. This could be an attempt from Activision to target demographics they don’t normally hit – younger people and Asian markets in particular, both of which engage more thoroughly with mobile games and esports than their older or Western peers. 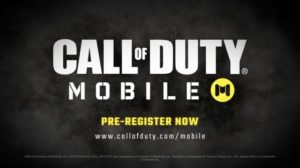 Interested users can pre-register on the Call of Duty website with Android devices, but iOS users will have to wait a little longer to find it on the App Store.